BOSTON (April 2, 2019) – In conjunction with their release of the most recent evolution of the heralded “Join Us for Good” campaign, Eastern Bank and its creative agency, CTP, announced an extension of their long-term partnership. CTP has worked with the bank since 2001. “Join Us for Good” was launched in 2017 to inspire customers and communities, celebrate those who are making a difference, and rally others to join together to “create a movement” and do good things to help people prosper. The latest version of the campaign expands the Partners for Good. Partners for Good elevate the Join Us for Good campaign as they connect to efforts that positively influence community challenges. 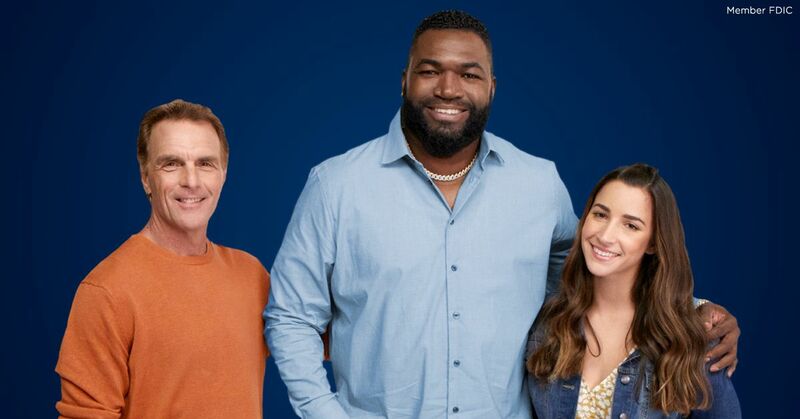 In 2018, Eastern welcomed Aly Raisman as its newest Partner for Good, joining David Ortiz and Doug Flutie. Eastern Bank recently reported record 2018 financial results by several measures, including net income, total assets, loans and deposits last year. During the second year of the Join Us For Good campaign, net income increased by 40 percent and nearly doubled over the course of the past two years. CTP is an independent, award-winning communications agency that unleashes the power of the human spirit to create and strengthen authentic relationships between brands and consumers. Fueled by data and analytics, CTP’s advertising, PR, digital and media teams develop and implement unique, cross-channel campaigns that engage and inspire, build loyalty and drive sales. Founded in 1996, CTP is based in Boston’s North End. Connect with us at ctpboston.com, Twitter, Facebook and Instagram. Founded in 1818, Boston-based Eastern Bank is America’s oldest and largest mutual bank, with $11 billion in assets and over 115 locations serving communities in eastern Massachusetts, southern and coastal New Hampshire, and Rhode Island. Eastern provides exceptional access to fairly priced banking, investment, and insurance products and services for consumers and businesses of all sizes. Eastern Bank, which includes Eastern Wealth Management and Eastern Insurance, is known for its outspoken advocacy and community support that has exceeded more than $120 million in charitable giving since 1999. An inclusive company, Eastern employs 1,900+ deeply committed professionals who value relationships with their customers, colleagues, and communities. Join us for good at www.easternbank.com and follow Eastern on Facebook, LinkedIn, Twitter, and Instagram.